Millie Odhiambo Bodyguard killed in Homabay ODM Nomination gun drama. - Bana Kenya News, Real African Network Tubanane. Home News Millie Odhiambo Bodyguard killed in Homabay ODM Nomination gun drama. 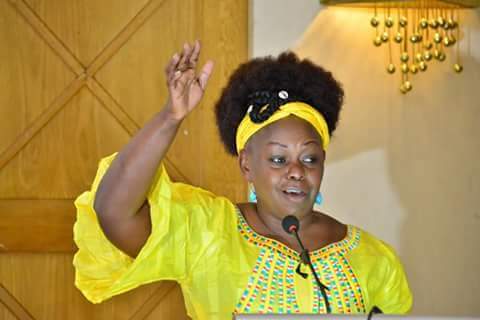 Millie Odhiambo Bodyguard killed in Homabay ODM Nomination gun drama. The Mbita Mp Millie Odhiambo bodyguard killed at Homabay yesterday following supporters of Mbita Mp incumbent and her opponent James Akali at Urinda primary School in Lambwe ward. The fracas started when the supporters of James Akali wanted his master to brief them following allegations of Marked ballot papers found in that polling station. Hon Millie Odhiambo supporters on the hand wanted to get access to the polling room after they claimed that his opponent wanted to rig the elections after they were found with ballot papers. The fracas between the supporters from different sides led to the loss of life of the Millie Odhiambo Bodyguard and several others injured. They were taken to Homa bay county hospital for treatment. The incident happened on Monday afternoon.